What is an inclusive school community? How do stakeholders perceive their roles and responsibilities towards inclusive school communities? How can school communities become more inclusive through engagement with individual perspectives? 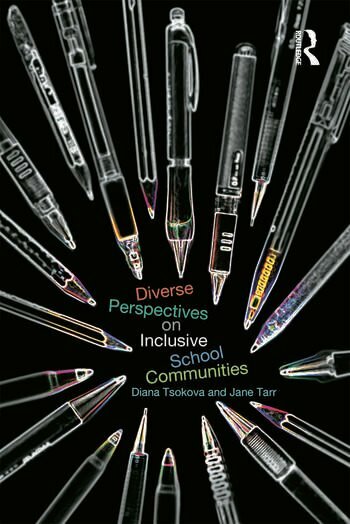 Diverse Perspectives on Inclusive School Communities captures and presents the voices of a wide range of stakeholders including young people and their parents, teachers, support staff, educational psychologists, social workers, health practitioners and volunteers in producing a collection of varied perspectives on inclusive education. In this fascinating book, Tsokova and Tarr uniquely assemble a compilation of accounts collected through in-depth interviews with over twenty-five participants, met throughout the course of their professional lives. The authors focus on how we can ensure all children receive the best education and social provision in inclusive school communities. the power of agency in relation to inclusive school communities. The text contributes to current debates surrounding educational policy initiatives, highlighting similarities and differences across people and professions, and illuminating a way forward for the consideration of a broader range of insight into the concept of inclusion and ways this can be achieved. Including both UK and international perspectives that illustrate different stages of the inclusive education process, this text will be invaluable to anyone affiliated with inclusive schooling in a personal or professional capacity.